Our mobile sports betting app puts our sports book right in your pocket. 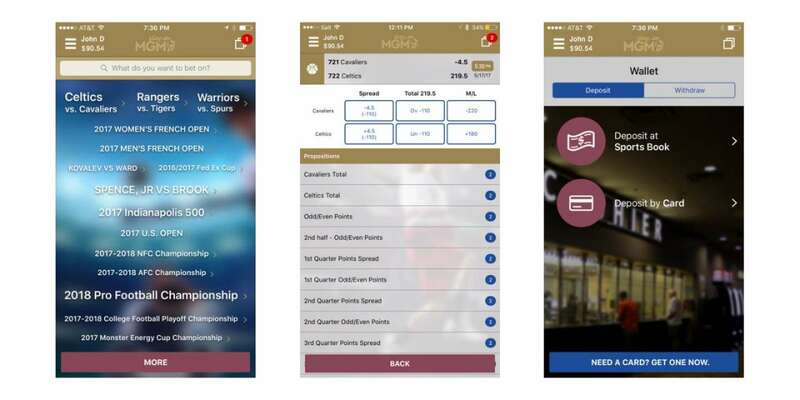 The playMGM app is your ticket to sports betting through your mobile device from anywhere in the state of Nevada! A new multi-year partnership that will make MGM Resorts the official gaming partner of the NBA and WNBA. *Wagers cannot be placed on the Aces at any MGM Resorts destinations, but wagers on all other team can be placed. Now you can bet the games from your room, laying by the pool or even from the dinner table! Watching the game? playMGM gives you an opportunity to get an even bigger piece of the action with our live in-play wagering options. Don’t worry, we still offer a traditional menu of straight bets, parlays, round robins and teasers, too. With playMGM’s unique real-time trend cloud page, we make it simple for you to see which games and matchups sports bettors are firing on the most. Betting sports in Las Vegas has never been more fun or convenient! Stop by any of our MGM Resorts International sports books today and start booking your action on the go! 1. Bring your M life Rewards card and photo I.D. to the Race & Sports counter of any participating MGM Resorts destination. 3. Open the playMGM app, fund your account and start wagering! Not an M life Rewards members? Visit M life Rewards and sign up today! 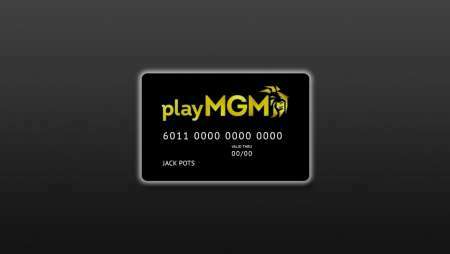 Sign up for the card today by selecting "Deposit by card" or "Withdraw to Card" in the Wallet section of the playMGM app. For more information, visit the MGM prepaid Card website here.